EghtesadOnline: In the latest move to curb air pollution in Tehran Province, dilapidated vehicles and motorbikes will be barred from Eslamshahr County in the southwest. 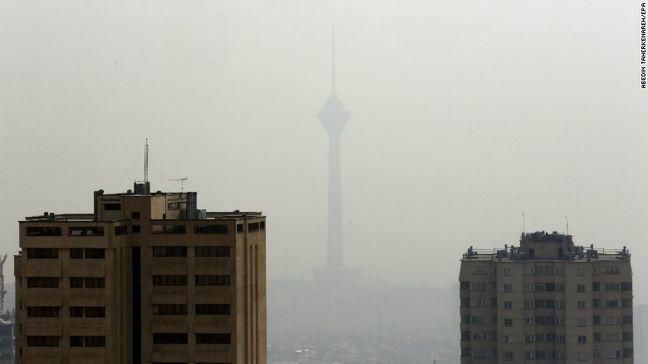 The decision is part of a plan ratified in 2015 by the High Council for Coordination of Urban Traffic, which seeks to ban vehicles with high toxic emissions from entering the province and control the worsening air pollution in Tehran and the peripheries. IRNA said the decision to ban the old dilapidated cars in Eslamshahr was made at the last Tehran City Council meeting on Sunday, in the hope of making life slightly more tolerable in the sprawling capital long fighting a losing battle with poison in the air. As is the case with Tehran city, owners of dilapidated and polluting vehicles without the mandatory technical inspections will be banned from entering Eslamshahr. Those violating the rules will be fined 500,000 rials ($3.5) per day, Financial Tribune quoted Tehran Governor Mohammad Hosein Moqimi as saying. “Smart traffic surveillance cameras are to be installed in the downtown county to help the implementation of the scheme,” he added. Offenders will be identified both via CCTV that will be installed throughout Eslamshahr and also by Traffic Police officers who will report the number plates of cars and two-wheelers not having technical inspection papers. By banning the dilapidated cars, urban authorities hope to compel owners of the polluting cars to choose alternative modes of transport or fix their vehicles. According to a report released by the Iranian Legal Medicine Organization, during the fiscal that ended in March, close to 12,000 air pollution-related deaths were recorded in Iran with one-third of the fatalities in the capital.